Kaihua Blue clicky switches provide tactile, medium-weight key travel. They sound and feel more refined than their Cherry MX equivalent. 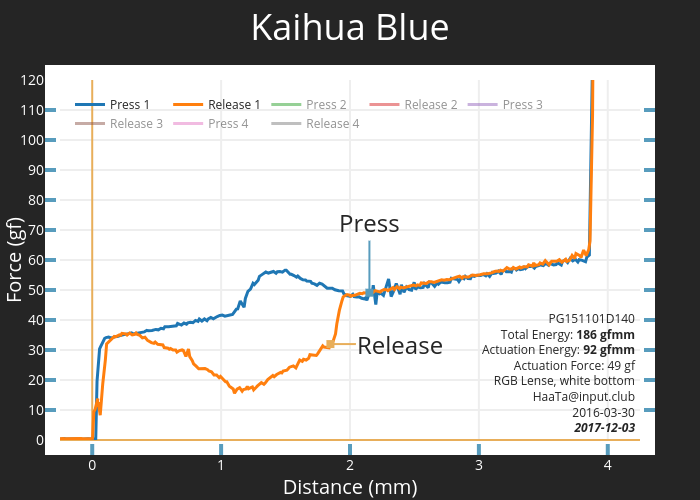 Improved smoothness and consistency across the Kaihua Blue force curve illustrates the difference.